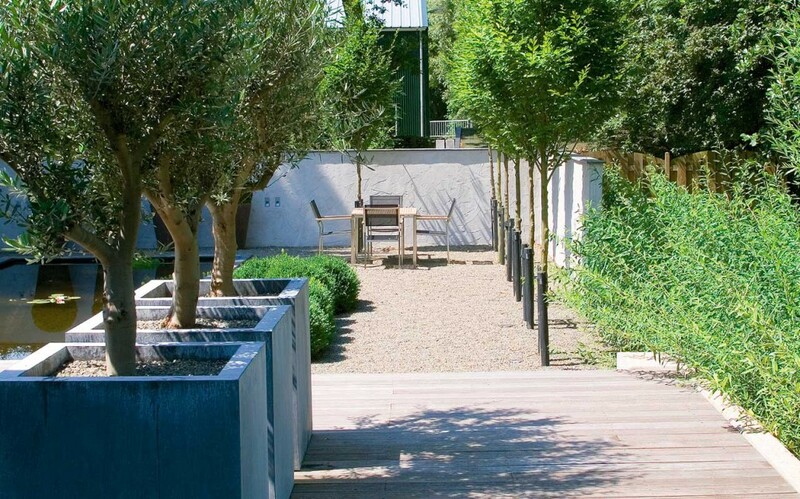 The architects of Martin Veltkamp Tuinen design and combine elements with a clear signature style and philosophy, and they always know how to bring the client’s wishes and demands into their landscape designs. This leads to a unique garden design that meets all of the client’s wishes and demands and takes the evaluation of the existing situation into account..
A unique landscape design is expertly created. Not only does this fit with the client’s wishes, it also fits within the existing space and the accompanying property. The client can also complement the garden design with furniture and accessories for the desired effect, using products from various high-quality brands or opting for MV’s own Objects collection. The landscape architects from Martin Veltkamp Tuinen design unique gardens all through the Netherlands. From roof terraces and small, modern city gardens to luxurious villa gardens. Every landscape design is unique and fitted to the customer. Do you have plans for your garden? Please allow us to provide advice. take photos of the current situation. When this information has been acquired, we develop a concept and from that create a landscape design. The design gives a clear impression of what the landscapers and architects have in mind. It is important to provide time for changes and adjustments, to give the client optimal control over their garden design. Following this, the exact costs are calculated for implementing the garden design. This includes a proposal for garden lighting, planters/garden pots and garden furniture. If necessary, permit applications are made. Finally, we provide a “product book” with information about the proposed garden materials. If you would like to know more about designing your own garden, you can call us at +31 (0) 10 521 70 40 or fill out our contact form for a meeting without any obligations.